Horst Seehofer, the premier of the state of Bavaria, a nominal partner in Angela Merkel’s coalition, and a persistent thorn in her side, has called for a sea change in diplomatic dealings with Russia, following his trip to Moscow. 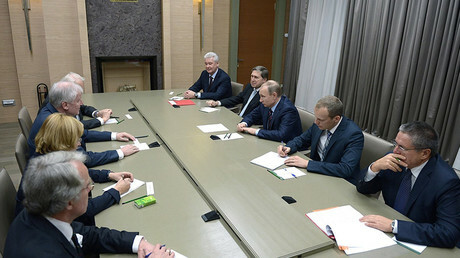 Journalists returned to the subject of sanctions repeatedly as Seehofer spent an hour answering questions at the final press conference, following the two-day visit during which he met Russian President Vladimir Putin, and signed bilateral trade deals on behalf of his home state. But for all his careful phrases, the trip, unapproved by Merkel, had already conjured up a storm in Germany, with its Russia policy chief Gernot Erler, accusing him of “breaking the EU consensus” and “letting himself be exploited for publicity.” Newspaper editorials accused him of “disloyalty” to Merkel, and “meddling” with his unsanctioned overtures. Yet for Seehofer, whose CSU party is in theory merely the regional arm of the ruling Christian Democrats, stirring up confrontation and sticking to his guns are not a weakness, but a strategy. The maverick at the head of Germany’s second most-populous state, whose public persona has drawn comparisons with Donald Trump, has made his name opposing the policies of the federal government. He is the most senior politician to vocally oppose the “open-door” refugee policy Merkel adopted last year. Relations with the Kremlin have been another fissure between Munich and Berlin, even before the latest trip. In his final conference, Seehofer insisted that Moscow has an “irreplaceable” role to play in mediating the Syrian conflict. “When I met him, President Putin demonstrated deep knowledge of the Syrian issues. I don’t want to reveal details of our talks, but it became clear to me that no solution can be found without Russia,” said the 66-year-old politician. 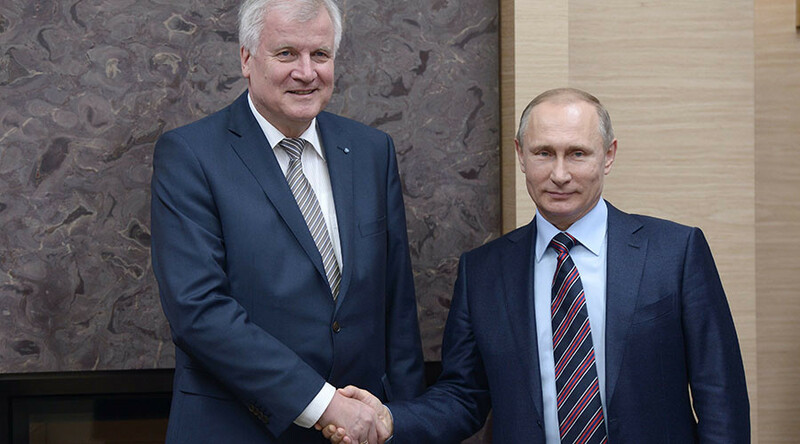 The Russian President was equally complimentary in an earlier statement, noting a “special relationship” between Bavaria and Russia, and expressing gratitude to Seehofer for his diplomatic efforts. Seehofer promised to persist with his maverick diplomacy, vowing to speak with Ukrainian President Petro Poroshenko and Russian Prime Minister Dmitry Medvedev during the Munich security conference later this month. The Bavarian leader also promised to return to Russia in the latter part of 2016, as part of a more sizable state delegation.